1. Aside from his skill at solving codes and puzzles, what other methods does Father Agostino use in his attempt to uncover the identity of the Soothsayer and decipher the enigma of The Last Supper? How much does he owe to chance? What is the significance of Leonardo da Vinci solving the riddle written by the Soothsayer? 2. Were you able to guess the identity of the Soothsayer before it was revealed in the narrative? Once the identity was revealed, did you see clues and indicators that you had missed while reading the story? 3. Father Agostino and Master Torriani "both believed that the Soothsayer had left us this clue [the seven-line verse] in the hope that the Secretariat of Keys would solve it and communicate with him" (49). The Soothsayer had ample opportunity to reveal himself to Father Agostino after the inquisitor arrived in Milan. Why did he continue to hide his identity from Father Agostino? 4. Father Alessandro became "a dear friend" (79) to Father Agostino. Do you believe Father Agostino would have thought of the other man as a friend if he had been aware of Father Alessandro's true religious affiliation? Why or why not? 5. Why are the Dominican leaders so concerned that The Last Supper might contain hidden symbolism? How (and why) was art used to communicate ideas and beliefs to the people during the Renaissance? 6. Discuss Elena Crivelli's role in the story. Despite Leonardo's warnings, Bernardino Luini reveals to her what he has learned from Leonardo about the legacy of Mary Magdalene. Why does Leonardo then go a step further and take Elena into his confidence? What was your reaction to learning that da Vinci used a woman as the model for Saint John in The Last Supper? 7. When Father Agostino frees Mario Forzetta from the Jacaranda palazzo, Forzetta tells him, "Give me my freedom and I'll be faithful" (198). Does Mario fulfill that promise? How so? Why does Father Agostino choose not to inform his superiors of the existence of the Cathar community in Concorezzo? 8. The events in The Secret Supper are recounted by Father Agostino forty years after they took place. Why do you suppose the author chose to structure the narrative in this way? How does it enhance the story? 9. Why does Father Agostino exile himself in Egypt? He writes, "The intimate certainty that no Christian will ever read what I am writing clouds my mind and brings tears to my eyes" (9). Why is he recording an account of his mission in Milan if he's certain that no one will ever read it? 10. What techniques does the author use to heighten the suspense in The Secret Supper? Are there "heroes" and "villains" in the story? Who would you classify in each category? 11. Do you believe, after reading this book, that Leonardo da Vinci used The Last Supper to conceal religious ideas contrary to those of the Catholic church? How effectively does Javier Sierra support the premise that da Vinci was given responsibility for preserving the legacy of the Church of John and Mary Magdalene? 12. What is your impression of Leonardo da Vinci after reading this book? What did you learn about the Renaissance period, Italian history, art, and religion? What did you find to be the most compelling aspect of The Secret Supper? 13. 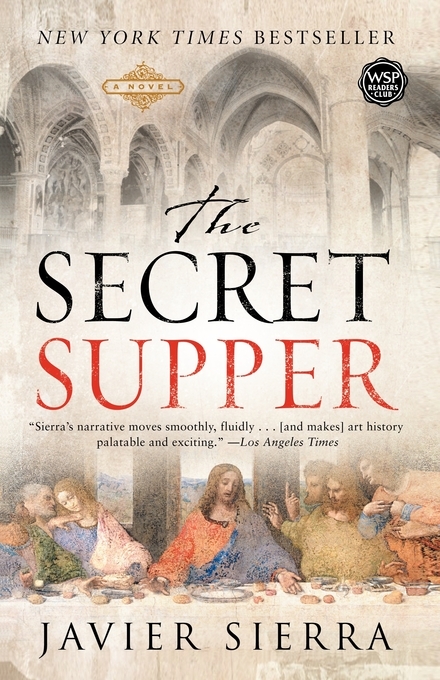 Comparisons have been drawn between The Secret Supper and works such as The Da Vinci Code by Dan Brown and The Name of the Rose by Umberto Eco. If members of your group have read either of these titles, compare them. What similarities did you find? What differences? Locate a picture of Leonardo da Vinci's The Last Supper on www.artchive.com. See if you can identify the "secrets" concealed in the painting as they're presented in the book, such as Leonardo da Vinci's likeness, the knot in the tablecloth representing Mary Magdalene, a woman as the model for Saint John, and the dagger in Saint Peter's hand. Uncork a bottle of Chianti (a red wine produced in Tuscany, the region that was home to Leonardo da Vinci). Look for culinary inspiration on www.simonsays.com, where a selection of cookbooks includes Every Night Italian and Williams-Sonoma Collection: Italian. Savor a slice of panettone for dessert. This cake is thought to have originated in Milan in the 15th century. It's traditionally eaten during the holiday season, but your book club discussion of The Secret Supper is indeed a special occasion. Use the recipe on www.theworldwidegourmet.com, or purchase the confection from one of the gourmet food purveyors on www.amazon.com. Listen to Italian music; visit www.initaly.com for a list of suggestions. The Secret Supper is filled with fascinating historical facts, such as how Friday the 13th became known as an ominous day and that aside from being an artist, Leonardo da Vinci also invented mechanical devices. Share with the group what you found to be the most interesting nonfiction fact, and why. In The Secret Supper Leonardo reveals that he painted his masterpiece a secco, a technique never intended to be long-lasting. He invited artists from France and Italy to view The Last Supper, and they in turn duplicated the work in churches throughout Europe. See if you can find information on how many replicas were made of the painting, and whether any are still in existence. 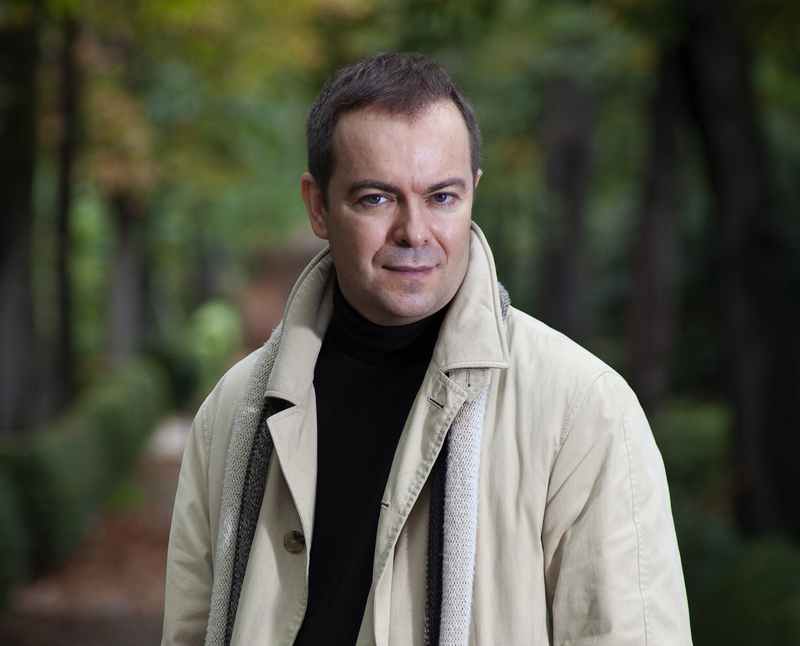 Javier Sierra, whose works have been translated into forty languages, is the author of The Lost Angel, The Lady in Blue, and the New York Times bestselling novel The Secret Supper. One of the most accomplished authors on the Spanish literary scene, Sierra studied journalism at the Complutense University of Madrid. El Maestro del Prado spent a year on the bestseller list in Spain, gaining the admiration of art experts, aficionados, and critics. A native of Teruel, Spain, he currently lives in Madrid with his wife and two children.